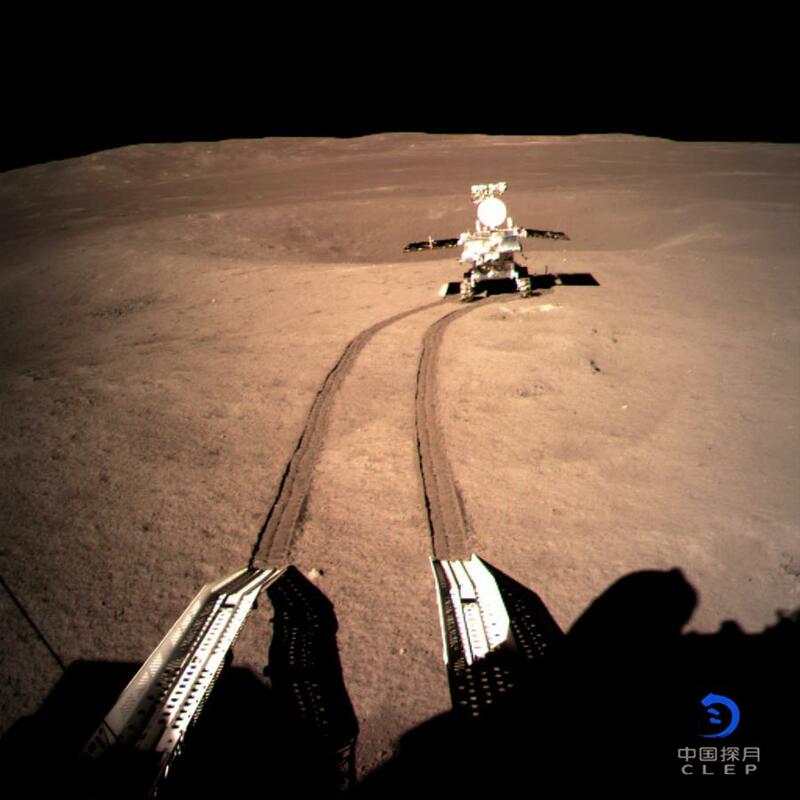 Lunar rover Yutu-2 has been driving on the far side of the moon after separating from the lander and scientific devices on both the lander and rover are currently gathering data, the China National Space Administration (CNSA) said late Friday. At 17:00 local time in Beijing, the three 5-meter antennas of the low-frequency radio spectrometer on the lander have fully spread out, said the CNSA in a statement. Meanwhile, Germany's lunar neutron and radiation detector was turned on for testing. The ground control has been receiving geographic and geomorphic images of the moon's far side. The Yutu-2 rover, equipped with a data transmission link to relay with the Queqiao satellite, completed environment perception and route planning. It has been driving on the lunar surface on schedule and arrived at preset location A to carry out observations. The radar and panorama camera on the rover have been operating smoothly and other devices will begin operation according to schedule. According to the CNSA, in the following days, Yutu-2 and the lander will face the challenge of extremely high temperatures in the lunar day. Yutu-2 will enter a "napping" mode at an appropriate time and is expected to resume moving next Thursday. The moon rotates on its axis once every 28 days, so every part of the moon has a day-and-night pattern. Temperatures on the moon vary between extremes of some 200 Celsius degrees and minus 200 degrees. Launched on Dec. 8, 2018, China's Chang'e-4 lunar probe, comprising a lander and a rover, landed on the far side of the moon Thursday morning. Yutu-2, atop the probe, extended its solar panel, stretched out its mast and started to slowly fly to the lunar surface Thursday night.